Last week I indulged in a selection of new skincare products I wanted to try out. My eczema drives me up the wall at the best of times due to the dry patches I get on my face leaving it feeling itchy and red. I've tried covering up the red blotches with concealers and cover up-sticks but they only dry my skin out more! The key for me has to be soothing the skin. Last week a friend of mine introduced me to Forever Living - she had signed up to be a distributor and was raving about the amazing business opportunity they offered. 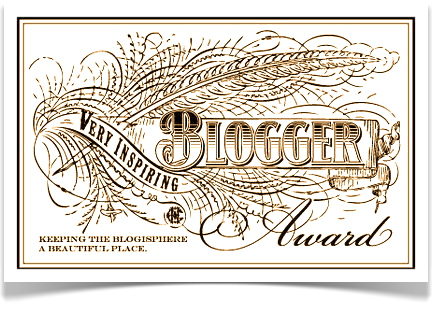 I was instantly interested and once I laid my eyes on the aloe vera based products I was hooked! Aloe vera has soothing and healing qualities making it great for people prone to eczema, psoriasis and scars - um, hi! For a week now I have been using the following, and the difference they are making is crazy. I have been putting this on every night just before bed, after I've washed my face. It's been keeping my skin hydrated and protected over night, and I wake up in the morning with skin smooth as a baby's bum! Dry patches remain but soothed and softened. Due to its healing properties this can also be used to calm sunburnt skin, on scars and to soothe skin after electrolysis. My friend even uses this on her pets! I use this in the morning as a make-up base. After applying I leave it to sink in for about 5-10 minutes then apply my make-up which goes on smoothly and dry patches are significantly reduced. I hate moisturisers that sting when you apply them, this one doesn't, and is designed to counteract the effects of pollution and the environment. 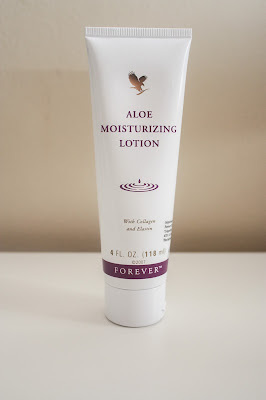 It feels silky smooth and best of all it isn't too oily! I thought the gelly was my favourite but this is doing me wonders! Whenever a patch of eczema flares up, usually on my arms or face, I just apply this crème to moisturise. 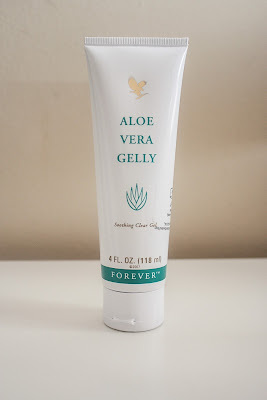 It isn't as soothing as the gelly but excellent for calming my eczema and dramatically improve any areas of dry skin! Never has anything worked as well for my eczema. 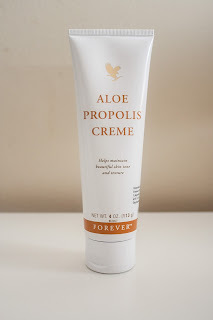 This contains aloe vera, bee propolis, camomile and vitamins A and E.